A Model for Health and Wellbeing. 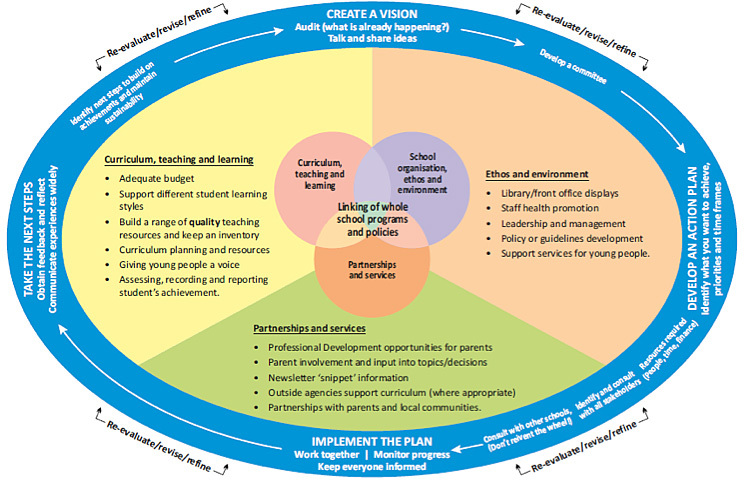 Diagram 1 shows examples of the components of a Health Promoting Schools Framework. Young people today grow up in an environment that increasingly encourages negative risk-taking behaviour through negative role models, peer influence, ambiguous role expectations and social /media influence amongst other factors. Young people develop these risk behaviours in varying degrees which may impede their educational progress. For young people, education and health are inextricably connected; therefore efforts to improve school performance also need to include improving the health status of children and adolescents. The most serious and threatening health problems in society today relate primarily to personal decision-making and lifestyle. The behaviours and lifestyles that lead to these preventable health problems are almost always developed and/or sustained during the early years of life, especially school years. The school is uniquely placed to respond to students’ basic needs for health education. After the home, the school has the greatest capacity to intervene to benefit each student. Research indicates that healthier students are better learners. 6. Intervention strategies within the school are effective in reducing a number of risk behaviours as well as reinforcing and maintaining positive health behaviours for most students. 3. Whether you already have ideas of what your school needs or if you do not have a certain focus area and would like to create one, here are a few tips to consider when establishing your Health Promoting School. Report on outcomes achieved and celebrate milestones. 4. School Drug Education and Road Aware (SDERA). Provides a model to support a Health Promoting School. 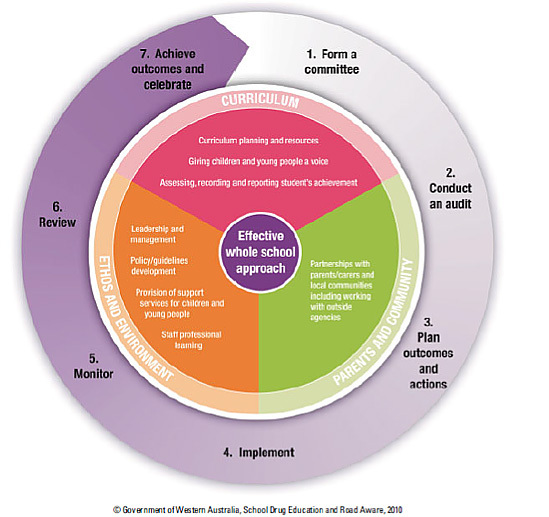 Diagram 2 outlines the process that schools can undertake to identify needs, develop actions and implement changes. The process and elements of the CHAT Model guide the way schools develop and implement an effective whole school approach. 7.